A free multiplayer mode and an affordable DLC. Starting today, Offworld Trading Company's Multiplayer mode is available to play for free, allowing PC gamers to access the real-time strategy title without making a single payment. While the core game remains a paid for experience, Mohawk Games' free multiplayer client will allow gamers to test out the title on their systems, judge whether or not it is worth purchasing or simply battle against others online to your heart's content. Those who wish to purchase the core game and access the title's singleplayer content will be able to purchase it for £4.65 at the time of writing, with the game selling with a 70% discount on Steam. Beyond that, the core game has received a new DLC, one which adds new maps, character campaigns and other additions to the game. This new DLC, which is called Market Corrections, is available for $3.99, £2.89 in the UK, and currently ships with a 10% discount. The story elements of this DLC explores why humanity needed to colonise Mars in the first place, aside from the obvious cool factor of settling other planets. With Offworld Treading Companys free multiplayer client, which as the name suggests will allow PC gamers to play the game's multiplayer for free, allowing players to face-off in the world of martian business even if they do not own the full game. This change should add a lot of new players to the game's online modes and perhaps act as a free demo of sorts for those who plan on buying the full game. Both Offworld Trading Company's Free Multiplayer Client and Market Corrections DLC are available on Steam. 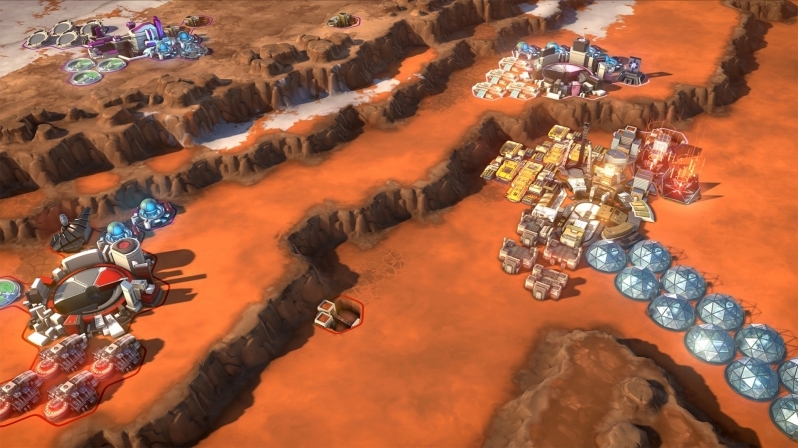 You can join the discussion on Offworld Trading Company's Market Corrections DLC and Free Multiplayer Client on the OC3D Forums.